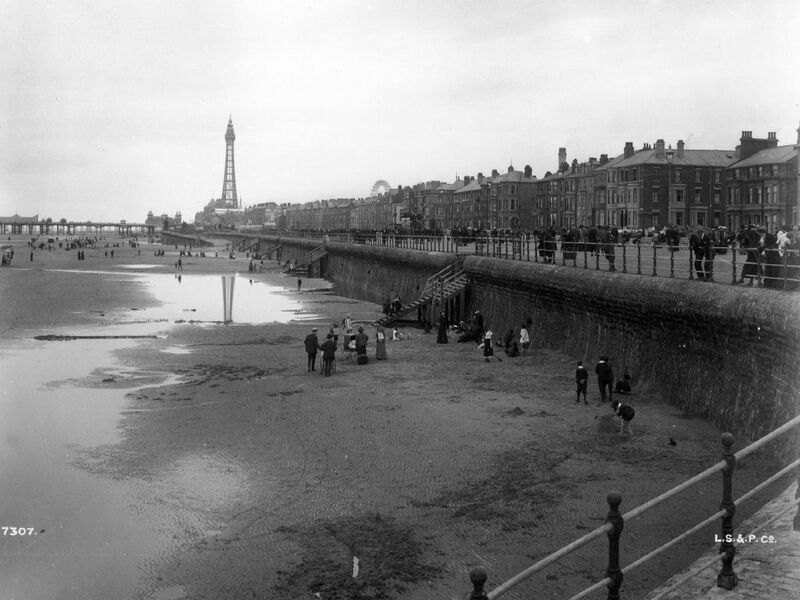 Take a nostalgic look back through these amazing images from Blackpool's past, including a time before the town's famous tower had been built. The beach at Blackpool before the tower was built in 1880. Regent Terrace at Blackpool, Lancashire in 1893. The south shore at Blackpool, Lancashire, from the South Pier in 1893. Talbot Square in Blackpool, with the Theatre Royal and Talbot Dining Rooms in the background, circa 1893.